With three in ten people reporting they’ve been involved in a physical altercation or at least threatened in the last year, it seems road safety isn’t the only issue we need to worry about when we leave the house. Recent research has revealed that half of road users (53%) – whether they’re motorists, cyclists, pedestrians, runners or wheelchair users – have been or felt intimidated when they’re out and about, with people admitting they’ve faced aggression from other road users (47%) and have been shouted at (45%), sworn at or insulted (41%) and tailgated (67%). Some 18% of road users have been threatened physically and a staggering one in ten has actually come to blows! For those people running or cycling on the road, the statistics get worse with one in five joggers being caught up in a physical altercation last year and one in eight cyclists facing the same. Nearly a third of runners and a fifth of cyclists said they were left feeling scared for their safety after the incident. The state of UK road rage and the threat of violence or anger has left the majority of road users feeling angry and stressed out, with almost one in five telling researchers that they fear for their safety. 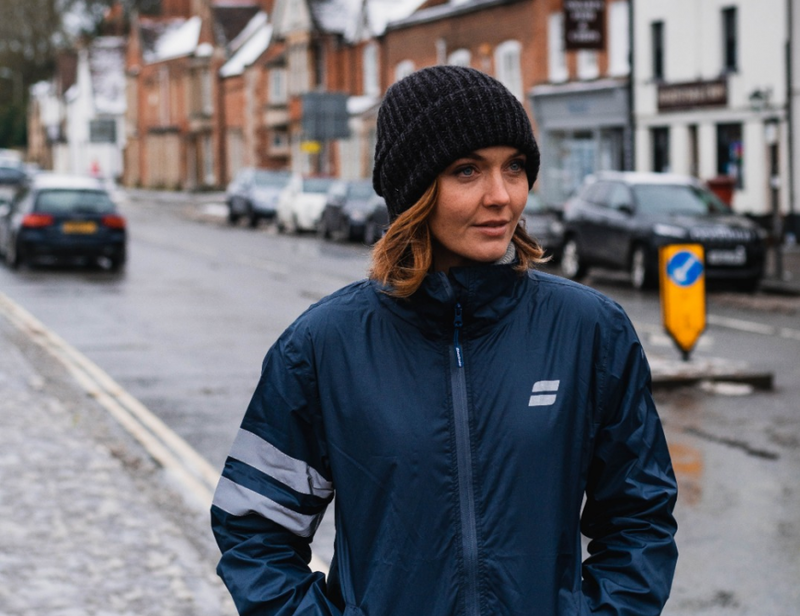 It is the reason Auto Trader – the UK’s largest marketplace for new and used cars – has launched its new #SwearToChange campaign, which has been backed by former Olympic cyclist, Victoria Pendleton. Designed to spark a constructive debate on road equality, #SwearToChange is giving away 20,000 items of free reflective outdoor jackets, back pack covers and dog-leads to people who want to be more visible in the dark, winter months. In return, Auto Trader simply wants recipients to acknowledge and encourage a change in old attitudes on UK roads in a bid to improve road equality. The campaign is being supported by Double Olympic Gold medal winning cyclist and jockey Victoria Pendleton and British Paralympian athlete Lauren Steadman. Lauren Steadman said: “I am someone who spends a lot of time running, cycling and driving on UK roads, so it’s alarming to see the statistics on aggression, physical violence and abuse. I think it shows that, collectively, we can all contribute to improving attitudes and consideration on the roads, creating a safer environment for everyone. Auto Trader’s research suggests the main reason for people holding negative opinions about other road users is that they feel they’re not exercising road equality (38%). Some 72% said the UK’s roads aren’t equal for all users, and nearly half (45%) agreed that changing attitudes was key to improving equality. With 53% of those questioned believing people have become more aggressive on the roads and some 42% feeling stressed simply by using them, then #SwearToChange couldn’t be a more timely or important campaign. Almost two thirds of us agree that we all share responsibility for one another on the road, so Auto Trader now wants us to put our words into action. Auto Trader’s Audience and Brand Director, Lei Sorvisto, said: “Despite Britain’s infrastructure and highway code changing, our research shows that attitudes on ‘who owns the road’ aren’t changing at the same pace. “It also reveals there is much fear and intimidation on our roads, but we can all play a part in helping to eradicate it, by acknowledging the responsibility we have for motorists and other road users. The limited merchandise will be available from 4th February and registrations will be taken at www.autotrader.co.uk/swear-to-change. The items will be prize-drawn every day for 20 days until the total 20,000 allocation is fulfilled.